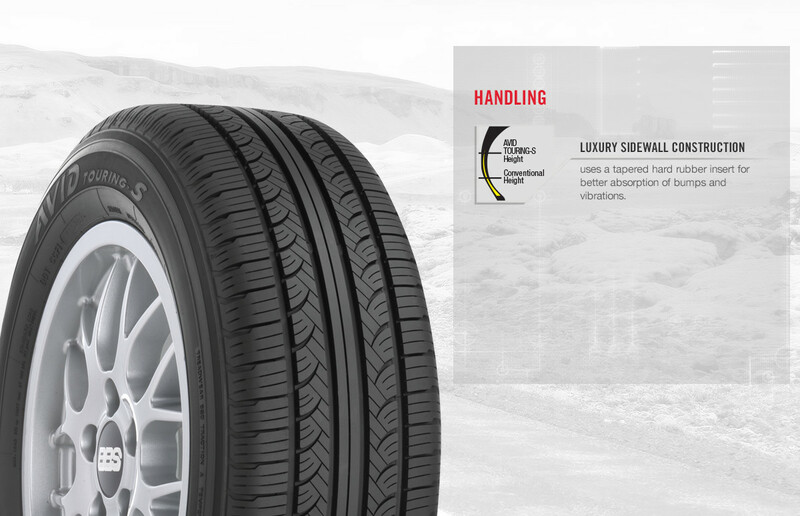 I am all about quality. 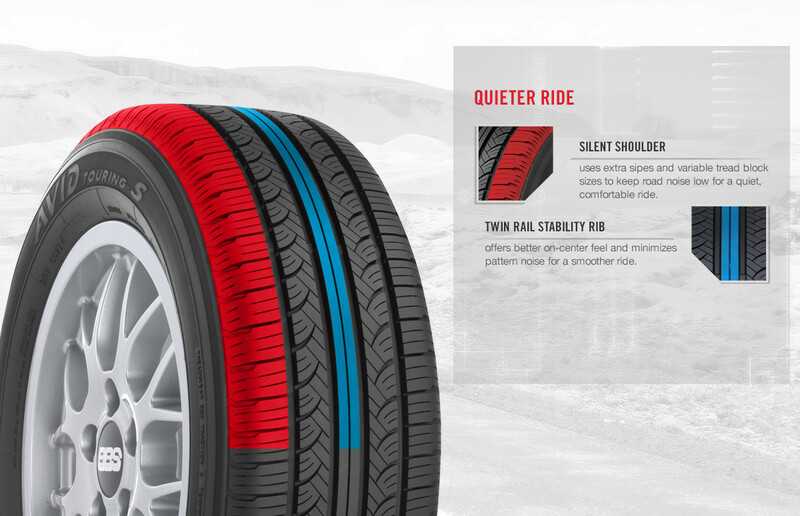 Great ride quality. 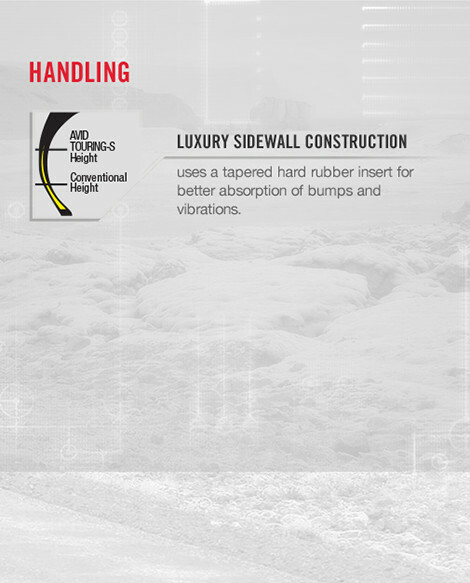 And smooth handling that lasts a long time. 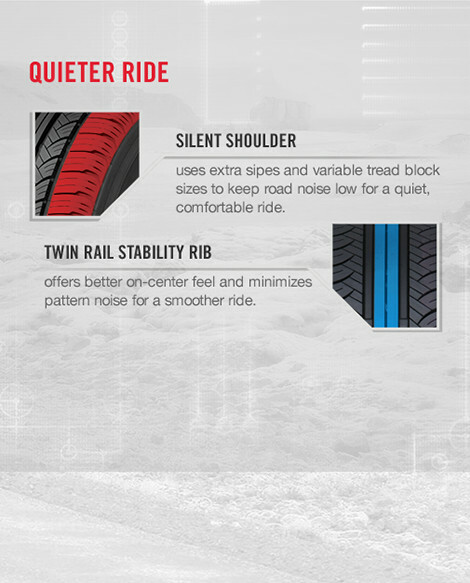 Silent shoulder keeps road noise low for a more quiet, comfortable ride. 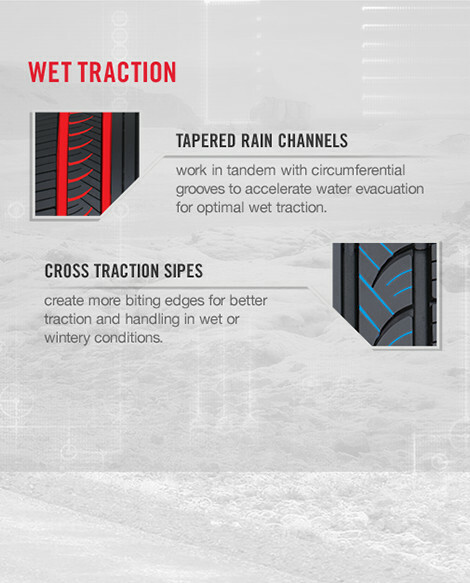 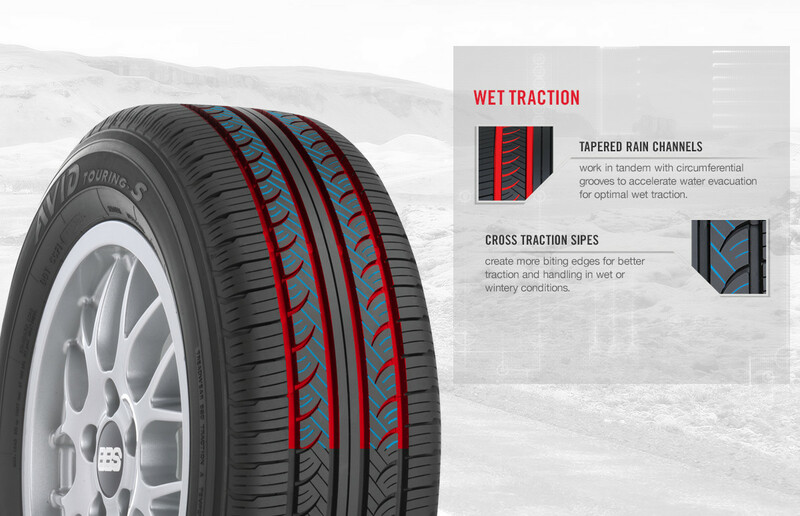 Tapered rain channels and cross-traction sipes work in tandem with circumferential grooves for optimal wet and winter traction. 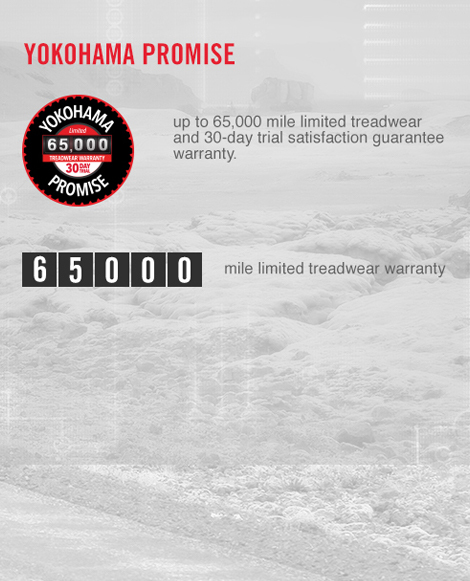 65,000 mile limited treadwear warranty. 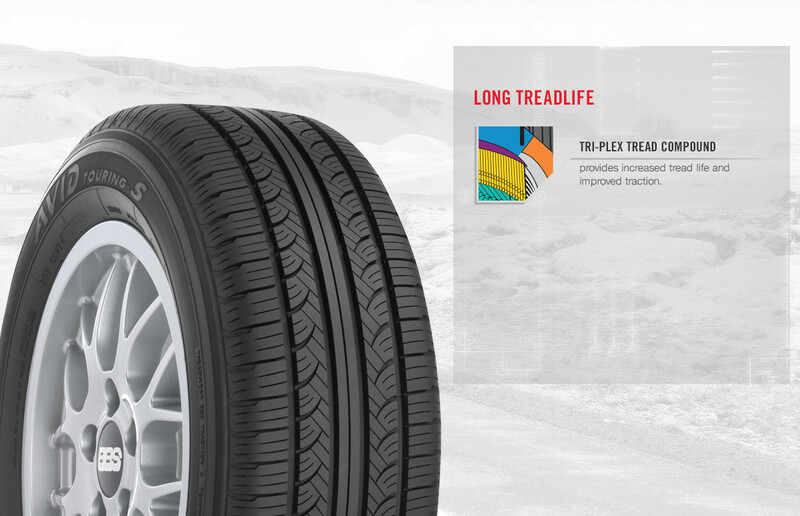 We guarantee you’ll love driving on your Yokohama tires. 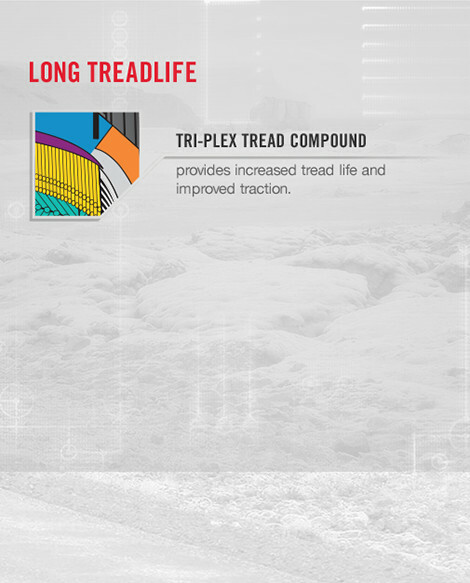 Which is why we provide a Satisfaction Guaranteed 30-Day Trial and a limited warranty of 65,000 miles.